Register Your Bike for FREE! Each week during National Bike Month, we will feature community members who ride bikes. 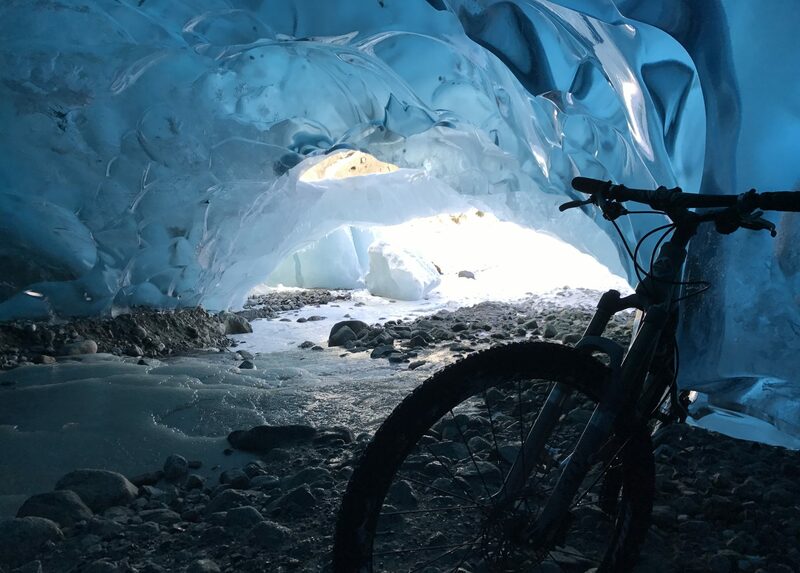 What’s your favorite place to ride to in Juneau? Mt. Jumbo exit of the Treadwell Ditch Trail. If you had to encapsulate bicycling in one word, what would it be? What do you love most about riding a bike? When asked to write about why I like to ride mountain bikes, my first thought was… cause it’s a bike. On a bike, I feel like I can do anything. Riding always makes me feel like a little kid. There is a freedom and a lack of conformity that only a mountain bike brings. As I see it, riding my mountain bike is limited only by my imagination. I can be happy riding anywhere on my mountain bike. I have been known to ride for hours inside my garage on a cold winter’s day, just doing track stands or hopping over and around obstacles of shoes, tools, and dogs. It’s not so much about being on a trail – however trail riding anywhere in Juneau is fun. For me, it’s about the technical challenge of conquering the unique obstacles Juneau trails have to offer. Any words of advice for new riders? My advice to new riders is, don’t spend too much time worrying about the cardio part of riding. Spend your time playing on your bike, just like you did when you were a kid. You can spend hours outside in front of your house practicing/playing by doing track stands, wheelies, manuals, bunny hops and anything else your imagination comes up with. Previous PostPrevious Volunteer Opportunity: Count Bike Riders and Pedestrians for CBJ!